Door locks are integral parts of any buildings, but how many types of door locks you actually know? Installing the right type of lock create the difference between safe and fragile. From simple padlocks to high-end smart locks, here are 17 types of locks you must know. Padlock is the simplest locking system that is not attached to anything. A simple square padlock is cheap, but it only offers minimum protection. If you want a safer locking system, find circular padlock, which has more difficult construction to break. You can also buy padlock with a combination system instead of a detachable key. Doorknob lock is one of the most common bedroom door lock types. This lock type usually has a single or double-cylinder mechanism, depending on the product. However, this lock type is not recommended as the main security system, such as for the main door. Burglars can easily dismantle this knob with tools like hammer or plier. Use this lock only for passage doors in the house. Warded lock is an old-fashioned lock type that dates to Ancient China. The inside of this lock mechanism was designed to only match a key with a specific shape. This type of lock is fragile because it can be opened using a skeleton key. However, some people love using this lock for wooden chest or vanity furniture because of its classic look. Unlike doorknob lock, a deadbolt lock has separate locking system from the knob. It provides extra security, because it is harder to break with simple tools. Homeowners can combine doorknob and deadbolt locks as standard security systems. Deadbolt lock types come in both single and double-cylinder models, with the latter provides even more security layer. Spring bolt lock is similar to deadbolt lock, but with a spring mechanism that creates an automatic locking mechanism. Unlike deadlock door, spring bolt lock will return to a locking mechanism when the door is shut completely. This provides an additional layer of security for forgetful people. Spring bolt lock is very common at hotels. Lever handle lock combines a hand lever with twist knob mechanism. This lock is commonly used on passageway doors, especially rooms like kitchen and bedroom. People can easily push the lever down to open the door instead of twisting it. This lock is not recommended for the main front door, unless when combined with other lock types. Furniture lock is found on furniture items, such as closet, cabinet, wardrobe, and sliding door. This lock consists of bolt and push button types. A push button is more common on sliding doors and file cabinets, whereas bolt lock on drawer, wardrobe, and closet. Furniture lock can be installed on any item that does not have a pre-installed locking system. Barrel bolt is one of the most common door latch types. The simple mechanism consists of the main assembly with a sliding barrel and the “locking” ring on the door frame. While not the safest locking mechanism, barrel bolt is effective as a temporary lock when you don’t need to secure the door completely. Barrel bolt is also installed to provide extra privacy and security with other locking types. Chain bolt has a similar mechanism like a barrel bolt. However, the sliding lock mechanism is attached to a fixed chain. It allows homeowners to greet an unknown guest without sacrificing safety. The mechanism will not allow outsiders to forcibly open the door, unless you close the door and release the bolt. Cam lock is commonly seen on filing cabinet, mailbox, and low-security financial institution. The lock consists of several “cams” or tailpieces that cross each other. You can buy a cam lock that has a 90 or 180-degree turning mechanism. Cam lock is available as a tubular or flat model. Electronic lock has become one of the most popular front door lock types in the modern world. The lock system uses a number pad and special number code to open it. Electronic lock pad usually still has a regular keyhole to open the door during an emergency, such as when you forget the code. Many electronic locks are connected to an alarm system that will contact the police if it is not turned off. Rim latch lock is commonly seen on public toilet door or changing room. The lock consists of a simple slide rim and turn latch. Some rim latch locks have a mechanism that allows them to lock automatically when the door is closed. Jimmy Proof bolt is a locking system found on double doors and apartments. The mechanism uses a jam bracket to prevent it from being pulled open forcibly. Jimmy Proof bolt is easy to install, because it does not require complicated modification on the door. T-handle lock is commonly used for vending machines, giving it the name “vending lock”. T-handle has a simple T-like bar mechanism that holds the latch in place. Vending lock is available in a dead latch (requires a key for relocking) and spring latch (locks automatically). Child safety lock is a special mechanism that prevents little kids from opening the drawer, cabinet, or even bottle cap. The mechanism usually consists of a blunt hook and plastic rod that is attached inside the furniture. A little kid cannot open the door easily due to a lack of height and strength. Many newer models use a magnetic mechanism. A child safety lock is also used by pet owners, especially cats, which can open an unsecured cabinet door. Smart lock can be connected to the entire smart home system. You can find smart locks that are powered by Wi-Fi, Bluetooth connection, or Z-wave. A smart lock has a unique feature, such as the accessibility for homeowners to open the door from a certain distance. Electromagnetic lock is common in public places. It can open and close the door without complicated interconnecting parts. Magnetic locks tend to be sturdy and difficult to break. This lock may fail to work during a power failure, but new models have a “fail safe” mode to prevent access when this happens. Use this list as a guide before building or upgrading your home. 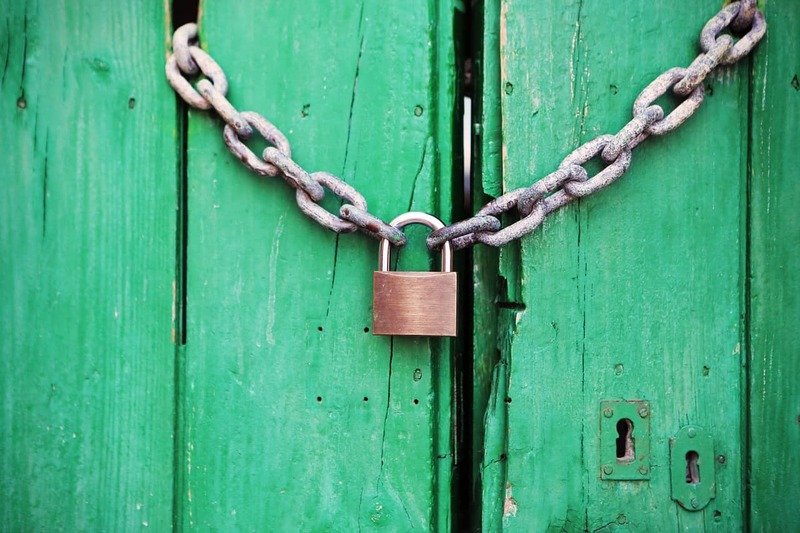 Understanding types of locks will help you choose the best security feature for your property.